OU IS NOT CURRENTLY FISHING THE FLORIDAY KEYS - COME JOIN US IN THE BAHAMAS! Live Bait, Light Tackle is our Specialty! Call OU to book at 1-866-682-8862!! Islamorada SportFishing is a way of life! Let Over Under Adventures help plan your entire Florida Keys Fishing Vacation. Whether it's an offshore fishing trip, a light tackle inshore fishing charter or just a day out snorkeling with the kids, we can put it together for you. Considered by many as the "Sport fishing Capital of the World", Islamorada and the Florida Keys are home to some of the best Islamorada Fishing Guides and offshore Islamorada Fishing Charter captains anywhere. If you're an avid saltwater fisherman, then you likely already know about the excellent fishing here in the Keys year round. Offshore, Backcountry, reef & wreck fishing and flats fishing are all on the Islamorada Fishing Menu. Tell us what you want to do and we'll package it up for you with accommodations at the Islander Resort. Or go "a la carte" and we'll take care of all your fishing needs! 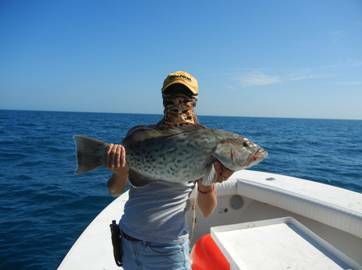 Our Florida Keys Fishing focus is light tackle, live-bait fishing. We use a lot of spinning tackle and light-weight conventional reels. The equipment on our Islamorada Charter Boats is top notch and the boats are all specificlaly set-up for live-bait fishing, with large live-wells. The reef is only 4 miles offshore and holds many of our pelagic fish. Sailfish, Dolphin, Mackerel, Sharks, and many varieties of snapper and grouper all live right there on the reef, so we don't have to go far! In the Backcountry, you will be fishing smaller skiffs, that can run in water as shallow as 8 inches! Sight fishing for Tarpon, Permit, Bonefish, Redfish, Snook, and Trout. Offshore Swordfish, Dolphin, and Tuna! 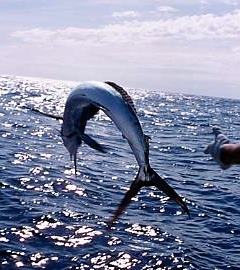 Offhore in the Gulfstream, we have some great Florida Swordfishing and Shark Fishing here in Islamorada. For more information on our Florida Keys Swordfish Charters scroll down the page just a bit! Family Fishing is Our Specialty! 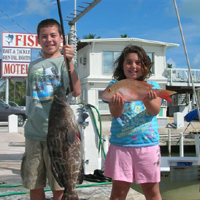 We love taking kids fishing and Islamorada is one of the best places to take the youngsters. The run to the reef is only a few miles, and the fishing can almost always be productive, keeping everyone's attention span for hours. An Islamorada Fishing Charter does not have to be that serious offshore fishing trip that most people think of, but can be a simple few hours out to a patch reef to catch the kids a boat full of snappers! The straits of Florida and the Florida Keys have become one of the best spots to Swordfish in the world. We can target them at night, or even during the day. At night we fish relatively shallow, running our sword baits from the surface down to about 300 feet. On our Daytime Swordfish Charters, we fish the bottom, often as deep as 1700 feet! We offer a great offshore day charter & swordfish combo trip, allowing us to target dolphin, wahoo, tuna, and swordfish, all in the same fishing trip. Islamorada Fishing Charters offer great alternatives on many various species to target! 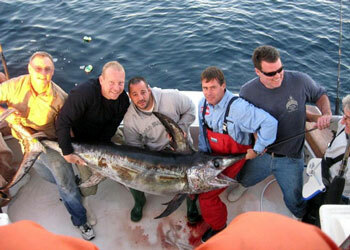 Swordfish Trips can also be run from Key West, Fort Lauderdale, and Miami. Fishing in the Florida Keys is a one of a kind place you don't want to miss! Tiki Bar, Great Beach, Great Pool & Pool Bar, Suites with Kitchens, Chef to Prepare your Catch! Call us to book your Islander Florida Keys Fishing Vacation! 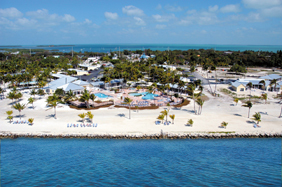 The Islander Resort is a unique destination in Islamorada, Florida with accommodations designed in a vintage 1950's style. These villas enhance the charm of this tropical island resort, inspired by the classic elegance of Florida Keys accommodations. 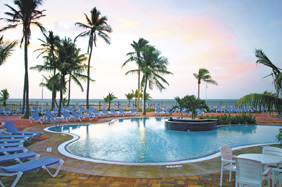 Nestled among the palm trees on more than 25 oceanfront acres in the village of Islamorada, the Islander Florida Keys Resort includes 114 spacious rooms that are a friendly retreat for the business and leisure traveler. All villas are at ground level with parking close by. Tiki Bar & a Great Beach! We will customize the trip to your needs, and weather conditions, allowing for the best mix of all the great fishing options here in the Florida Keys. 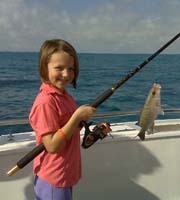 Our Islamorada Fishing Packages are all family and kid friendly, so bring everyone! Please call us to discuss your particular details. 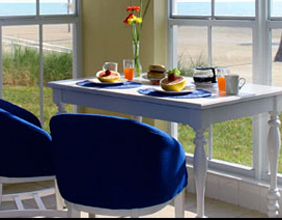 Packages include a continental breakfast daily at the resort, fishing, tackle, crew and standard accommodations at the Islander Resort based on double occupancy. Rates exclude other meals, drinks and gratuity. We also offer Bahamas Fishing Packages. We have bahamas fishing packages in conjuction currently in with Treasure Cay Resort & Marina in the Abacos, Hawks Nest Resort on Cat Island and Paradise Island Fishing Trips. Check out our great Bahamas Fishing & Golf packages.